If you’re a recruiter, search engines are your friend. Your potential clients are searching for you, whether they are candidates looking to apply for a recent vacancy, or a Company that needs to fill those IT positions ASAP. 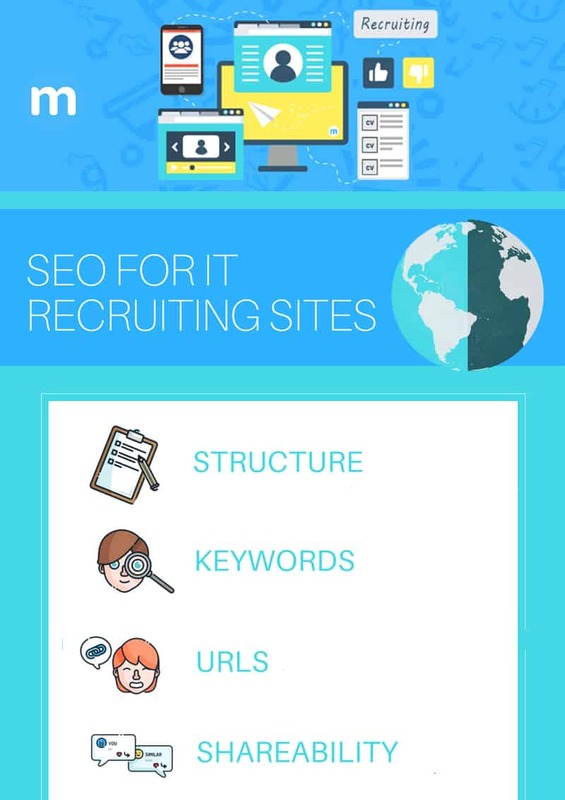 SEO for IT recruiting sites has the same best practises as any site would, but there are other things to keep in mind. Assuming you already have a website, first you need to take care of any pesky technical SEO errors. Then, take a good hard look through your Google Analytics, how many visits you’re getting from mobile devices It’s probably higher than you think! So make sure your site isn’t clunky – the major culprits are usually animations, auto-playing media right on the homepage, popups, and very large images. Then, answer this question: is your recruiting website a valuable resource for both candidates and employers? are you offering fresh content via your blog, guides, and whitepapers? Are your posts very short or do they cover all possible angles of a topic that your potential clients are interested in? You need to pick your most important keywords, that’ll go in the title, URL and description. If you’d like to know what your site’s SEO errors are and how to fix them step-by-step, check out our do-it-yourself SEO tool that comes with a FREE 10 Day Trial! Sign Up below and start improving your site’s traffic and rankings!